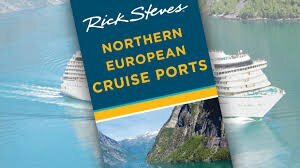 Only showing entries about europe from Darren and Terri's Travels. 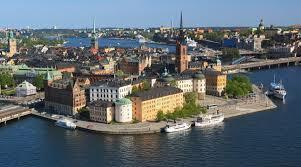 View entries about europe from all Travellerspoint blogs. View Eastern Europe on darrenesl's travel map. We had awoken earlier to the usual morning sunshine entering our hostel room window shortly after 4 a.m. local time and found sleep hard to come by after that. With many of the other hostelers still sleeping in their dorms or private roomes, we made use of the nearly empty WiFi that was able to meet our needs for connectivity. After a couple of Skype messages, emails, and social posts, a shower and shave helped get the tired body awake and ready for our day. We quickly ate a breakfast of pastries, yogurt, cottage cheese, peaches, and coffee. It is becoming a daily breakfast here in Poland , quick, easy, and a good way to stretch the meal budget for the more adventureous lunch and dinner experiences. We planned a full day for Wednesday, booking a tour with Krakow Tours, run by an Englishman named Phil Clark. 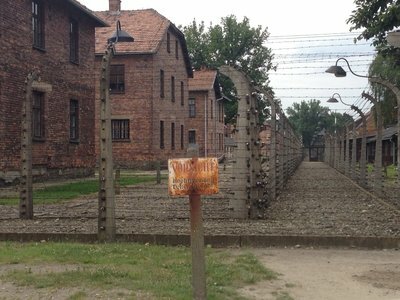 The trip includes Auschwitz and Birkenau and the Wieliczka Salt Mine, usually a day trip each if you go with one of the big cattle-car tours, however offered together on a private tour with Krakow Tours. Promptly at 8:10 a.m., Mark, our driver and tour guide, who is a Brit living and working in Poland now, pulled the Renault Van up to the front door and introduced himself. We had the option of riding up front with him as the middle seat was already occupied by the other two tour takers, a couple from the UK. We chose the front for the view and were soon zipping through the countryside to our destination. 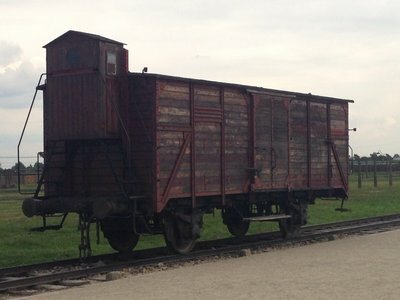 We learned tha Mark, a traveling magician at the age of 17, had been to Auschwitz while traveling, and being so facinated by it, returned from the UK on weekends, 17 more times before moving to Poland to work. 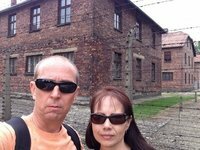 A great conversationalist, Mark shared his story and thoughts on Poland, as we neared the largest and most deadly of all the Nazi concentration camps, Mark let us know what buildings to go to and which ones to avoid to have the best experience, with the least crowds. 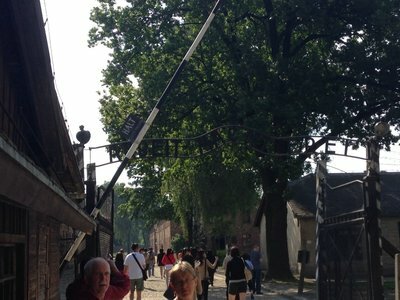 Because Auschwitz is so busy, they require tours to come with a tour guide, unless as Mark would do, enter with us and give us the option to wander on our own once he got us on the inside. And now the moment had arrived, we passed all the queues to get in and were at the gates that are seen in movies and textbooks worldwide. "Arbeit Macht Frei" or work makes you free. 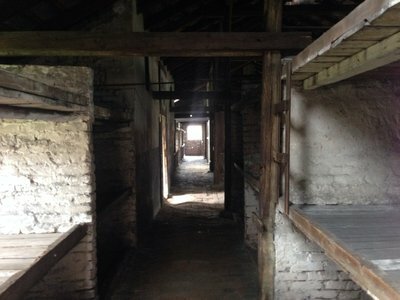 The infamous words that hung over the heads of those entering this killing compound of Adolf Hitler's regime. ...Why does it feel this way, as I turn to Terri she reassures me it is not just myslef that feels this wasy as we enter the compound, but an intensity of evil that just lingers over the grounds that lie before us. Words cannot describe what the eyes see next, but there is no denying this artrocity ever happened. 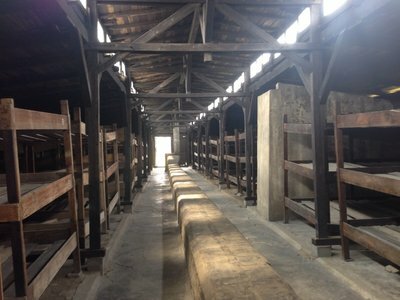 The former barracks of these prisoners show the horrors that awaited them when they arrived. Many of these people were expecting to come alomost on a holiday type experience, a chance to better their lives and that of theur families. You see the piles of their best dishes that some brought not expecting to be taken prisoner instead. 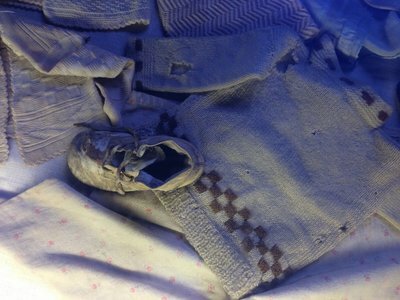 You see the spoils the Nazi SS took from them, piles of reading glasses, mountains of shoes, an assortment of clothing, and even children's toys. 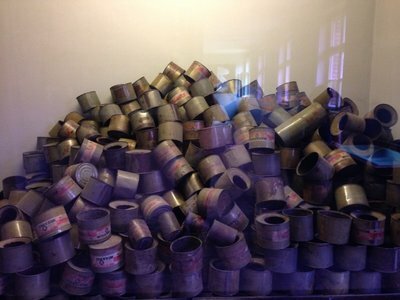 All of this stuns you and leaves you wondering, but the knockout blow hits when you see the tons of human hair, shaved from the victims of Auschwitz that was still to be sold by the Nazis to make textiles and cloth from. Yes, they still have tons of human hair from this event on display for you to see. 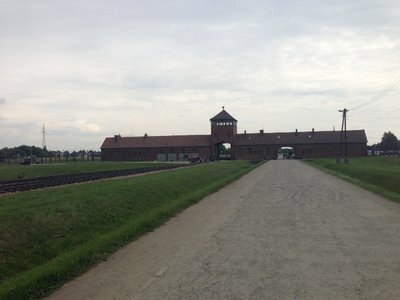 From Auschwitz we make our way to Birkenau, a bigger camp designed specifically for the extermination of people. The tools of the trade our similar, just on a much larger scale. At one point, killing 6000 people per day. The clouds that hung over the camps eventually disappated and the sun came out. Much as it did for some of the survivors of this period in history. The women are to le left and the men to the right as you enter. 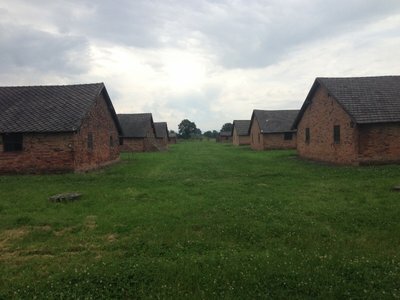 The majority of the women's barracks are brick as the houses in the area were torn down and used to build them, the men's were of wood as that is what was left. The pits for the bodies and the incinerators are at the back, eventually they built the railway line straight there. Why keep the infirm, the cripple, and children as they will just be a drain on resources was their thinking. 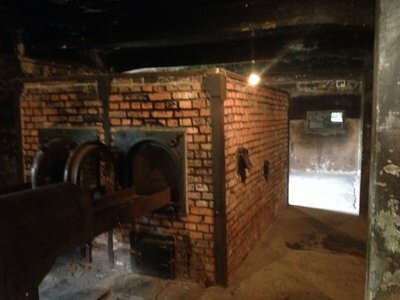 The Nazis even tried to capture the sewer to power the incinerators, however the diet of the prisoners did not feed them well enough to allow their waste to produce methane, so that plan was scrrapped. The sights and stories are ones we will never forget. From here we headed to the salt mine. These mines have been worked for hundreds of years and over 130 km of tunnels had been dug in the salt mines. 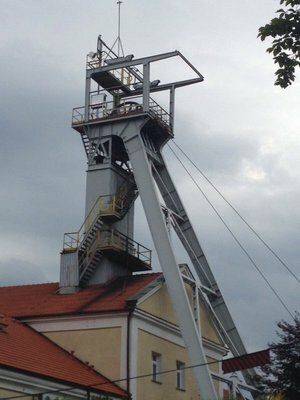 We toured more than 3 km of them and had a great history of the mines described to us. The chpels built underground were oppulant. When we emerged from the earth, 150 meters deep, it was pouring rain. Our guide shuttled us back to the hostel and we said our goodbyes to Mark. Sharing a bond that only those who have shared the concentration camp experience together can. It is a day we will always remember, and a time many can never forget. The time has finally come to depart on our adventure. The day began with the trip to LAX from San Diego being uneventful. Upon arrival, we were greeted with a dilemma. Luftansa was looking for people to give up their seats and leave on Sunday in exchange for $800 per person. 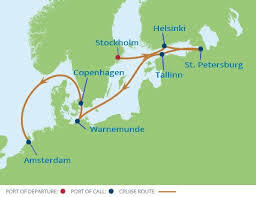 A very tempting offer, but we have activities planned for Monday in Warsaw befor departing Tuesday morning for Krakow. So, we declined the $1600 USD deciding to go for the adventure instead. 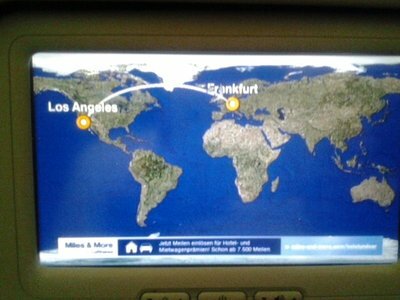 Luftansa is great as always with two warm meals and personal inflight entertainment. As the sky turned to dusk, moments later we were greeted with a gleaming orange sunrise before night could come. Looking down we could see brilliant white polar ice fields. The views as we continued on were incredible flying over Ireland, Scotland, The Netherlands and more we watched a beautiful multi-shaded green patch work quilt below us until we spotted the Rhine river and followed it towards Frankfurt. Now we sit here in Frankfurt awaiting our final 1 hour 20 minute leg to Warsaw. The excitement has definitely helped us overcome our five hours of airline sleep. Time is near, how's that packing list coming? Suddenly we look up and the calendar says its the middle of June. Oh my, where has time gone? As we finish the preparations for our European journey, it is time to make the final reservations on airbnb, check all of our needs, and start pulling the traveling pack together. Yes, we have the hybrid Caribee Skymaster 70. The exact pack, filled with 30+ lbs., that we have been walking about two miles a day with to prepare for the upcoming adventure. 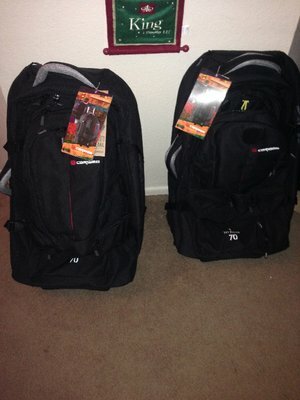 As we talked about before, the pack offers the best of both worlds with a combination backpack and rolling bag. Sure, we most likely will not be having to carry it on our back for 2 miles, but taking a line from the Boy Scouts, we are going to "be prepared." Along with the whole travel planning that has been going on since last year, plans for some special happenings on this trip have been in the works as well. Celebrating ten years of marriage, Terri and I have a couples massage booked in the Hungarian baths, a dinner on-top of the tower in Vienna, and a night on a private boat in Croatia. Part of the fun of this adventure has been finding some things to do that would not be on our regular list of activities here at home. 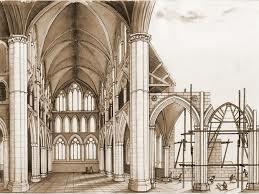 We also have several cathedrals on the list. For anyone going to Europe and wanting to let the imagination soar ahead of time, I highly recommend reading Pillars of the Earth, by Ken Follett. The book shares some of the design elements used to build these magnificent structures, with a thrilling storyline that will capture the mind of the reader. Many more thrilling items fill our agenda, as well as plenty of time to explore areas and get to know the locals as well. How's that packing coming you ask? Well the bags are full and we are under our 44lbs. limit. 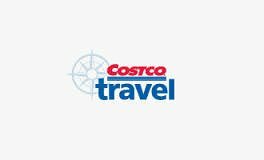 Have we forgot anything, hopefully not, thanks to the travellerspoint.com packing list. Yes, it is extensive, but it is good. We have been months in the planning stages and now the trip is upon us, we look forward to sharing our journey with you over the next couple of weeks. Keep watching here for our story and pictures and we will try to update it regularly. Please leave us your feedback and comments, we want to hear from you!